Making nice plots with good colours is easy using RColorBrewer. I put together a very simple tutorial walkthrough which you can see here. I’m often asked how I make plot look nice for presentations and analysis. The answer is usually the same - start with nice colours! Thankfully this is made very easy if you use colours specified on the Color Brewer website. 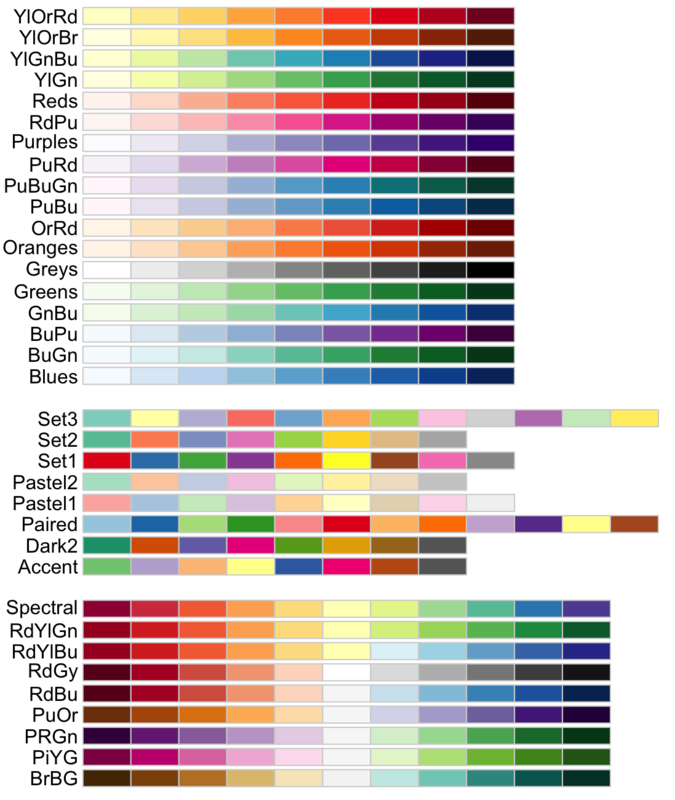 If you’re writing code in R there’s even a package which provides all of the colours for you called RColorBrewer. To give some pointers to a colleague, I put together a quick demonstration explaining how to get started with RColorBrewer. This was done in R using knitr in RStudio to create nice HTML output. You can find the demonstration here. You can also find the original script here.